Deciding on the cut and shape of the precious gem in an engagement ring used to be a pretty simple affair: it simply had to be a round brilliant diamond. With its 56 to 58 facets that capture and maximize the light to produce the greatest brilliance, the round brilliant remains the most popular choice among brides-to-be. Yet “fancy” shapes such as the Marquise, pear, oval, Princess, emerald, cushion, and Asscher have surged in popularity in recent years for the flair and individual personality they project on the wearer. 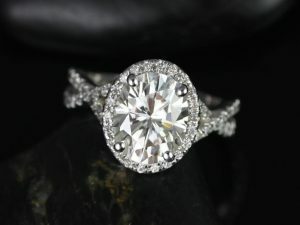 Many more couples today are custom-designing their engagement rings to reflect their own tastes and preferences, not only in the setting, shape and cut but also the non-diamond alternatives like sapphire, aquamarine, Morganite, and moissanite they choose as the centerpiece symbolizing their love. 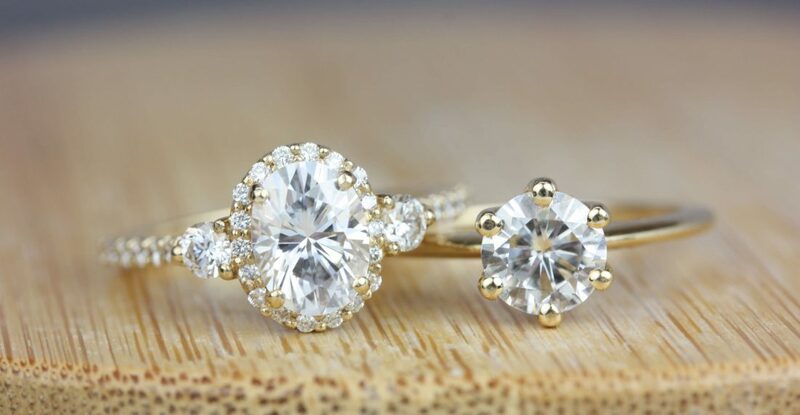 Build your own dream ring! Check out our 3D Experience. Did you know? The shape and the cut of a gemstone are two different things. As the Gemological Institute of America explains, the shape of a stone refers to its geometrical form (round, oval, pear, and so on). Of course, while a gemstone must be cut to give it its shape, the “cut” refers to the arrangement of facets that gives the stone its “face-up” appearance and determines its brilliance or sparkle (that is, how light passes through or refracts inside the stone rather than reflecting off its surface). Whatever its shape, when it comes to brilliance in a diamond or other gemstone, it’s all about the cut — one of the 4 C’s to gauging a gemstone’s quality. Learn more about the 4 C’s. The Emerald Cut is a rectangular shape with with long, lean facets and a flat top that best show off the stone’s clarity. 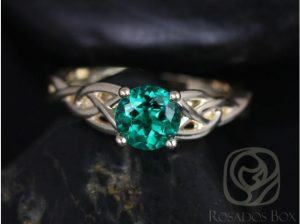 Occasionally used for diamonds, this cut works best with colored gemstones like Tourmaline, aquamarine, and emerald (after which the cut was named).